About Us | TRPC | Tallahassee Rifle & Pistol Club, Inc. 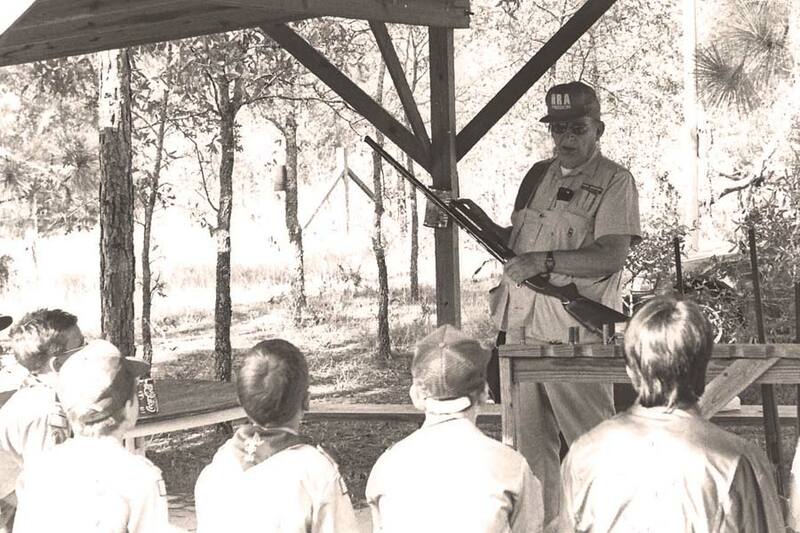 The Tallahassee Rifle and Pistol Club(TRPC) was founded by Hank Sorensen and 5 other men who loved to shoot and wanted a safe place to practice and promote shooting. TRPC was established in 1964 by these 6 men who all chipped in $1000 each to make the initial property purchase. A range was needed to carry out their goal, so they built a range for the clubs common love of shooting. TRPC is proud to be a NRA (National Rifle Association) affiliated club and we require that you be a NRA member in order to join our club. The NRA fights endlessly to protect our second amendment rights, and we support the NRA, as should all gun owners. TRPC is also affiliated with the CMP (Civilian Marksmanship Program). Little by little, TRPC has grown and improved over the past 5+ decades to become the polished gem that it is today. The Tallahassee Rifle and Pistol Club has 40 acres of pure delight for anyone who likes to shoot. Eight separate ranges with 5 to 10 firing lanes per range. There are two 50yd multi purpose ranges, a 25yd pistol range, 100yd rimfire range, 100yd, 200yd, 300yd rifle ranges and a trap range. We also have lots of cool steel targets, Texas star, plate rack, dueling tree, gong and an arcade. There is a cowboy town (Dodge City) and 6 new concrete shooting benches on the 100yd range. Our members have a wealth of knowledge about firearms. No one person knows it all, but someone will certainly be able to answer any question you may have about any gun. Unlike a business, TRPC concentrates on improving your shooting experience rather than making money. We don’t knock ranges that are in business, we just prefer a club for the more relaxed atmosphere, privacy, safety and fewer people to contend with. TRPC is a great place just to hangout with people who share the same interest and love of guns. Safety is the REAL Target at TRPC! We strive to provide a safe, family friendly environment for our members and guests. The directors, officers and members at TRPC take this responsibility very seriously and ask that everyone who uses our facility be familiar with all the safety rules which are available here, or on the marquis at the front gate of the range.